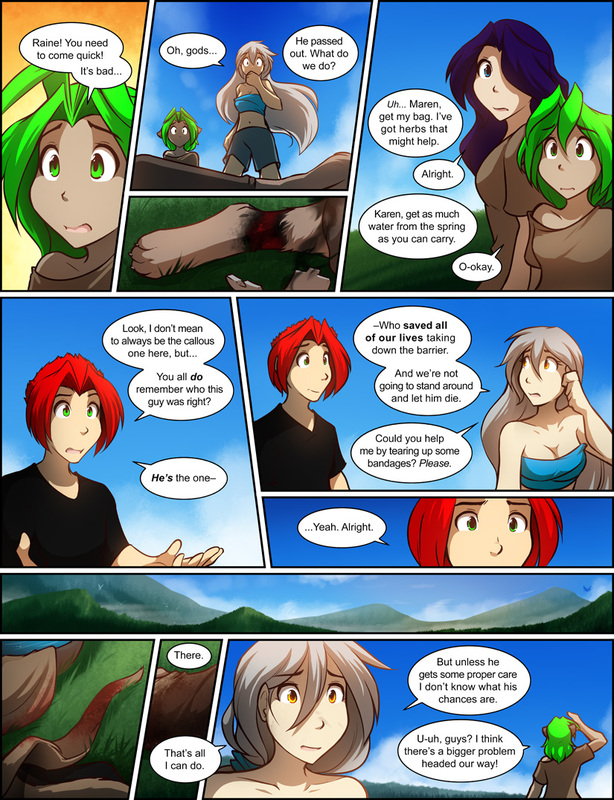 998: Not All Unscathed - Twokinds - 15 Years on the Net! Karen: He passed out. What do we do? Raine: Uh… Maren, get my bag. It’s got herbs that might help. Raine: Karen, get as much water from the spring as you can carry. Red: Look, I don’t mean to always be the callous one here, but… You all do remember who this guy was right? 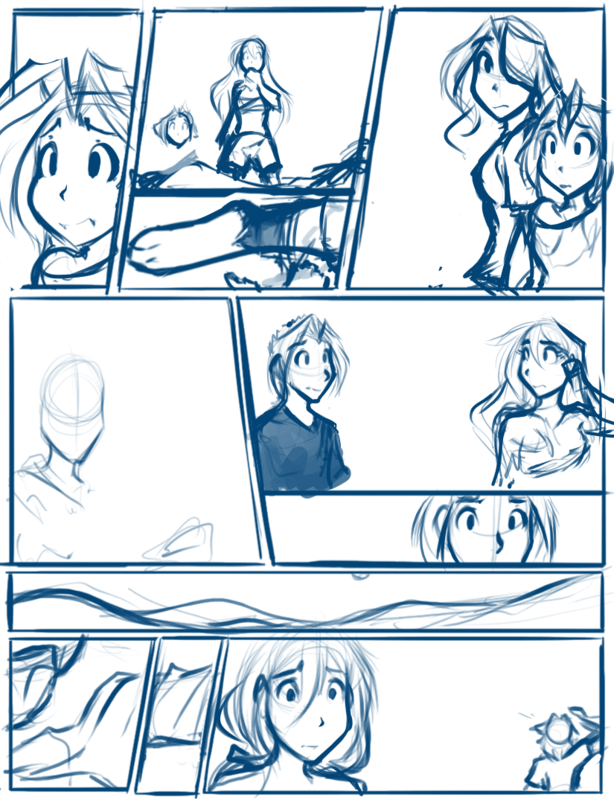 Raine: –Who saved all of our lives taking down the barrier. And we’re not going to stand around and let him die. Raine: Could you help me by tearing up some bandages? Please. Raine: That’s all I can do. Raine: But unless he gets some proper care I don’t know what his chances are. Karen: U-uh, guys? I think there’s another problem headed our way!